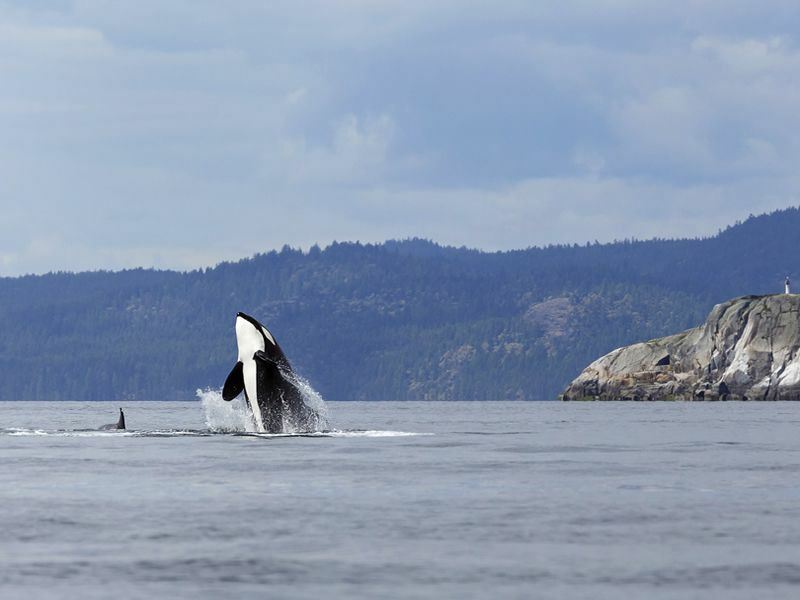 British Columbia is one of the best places in the world to see orcas in their natural habitat, something that offers a much more rewarding experience than seeing these magnificent animals in captivity. Numerous marine mammal and orca experts have estimated that whales born in captivity live to be, on average, just four-and-a-half years old, as many orcas that live in places like SeaWorld die before they ever reach their second decade. This is contrary to the marine park’s claim that they have about the same lifespan – 25 to 35 years old – in captivity that they do in the wild. Just one example is “Granny,” a whale who frequented the inland waters of British Columbia and Washington State. She had been spotted thousands of times over 40 years of orca surveys, and experts believe she was over 105 years old when she passed away recently. In places like SeaWorld, where the whales are used for entertainment purposes that earn big bucks for the park, they’ve been forced to breed continuously and at ages that are far too young, which has a negative impact on their overall health. That they are housed in a small tank and can only swim a fraction of the up to 100 miles per day that they would otherwise swim in the wild, is also believed to be a factor in their shorter lives. Seeing them in the wild means you won’t be supporting this practice, and it also offers a much more rewarding experiencing, whether you paddle alongside them in a kayak, watch from a boat or onshore. You’ll be able to view these highly intelligent creatures doing what they do naturally, spending time with their families as they travel, play and feed together. They live in pods with kin from various generations, with a calf remaining with its mother for at least two years, though the males often choose to stay with their family for life. Wild orcas are known to create strong social bonds with members of their pods that can last for a lifetime, following a kind of “code of ethics” that prohibits violence toward one another. 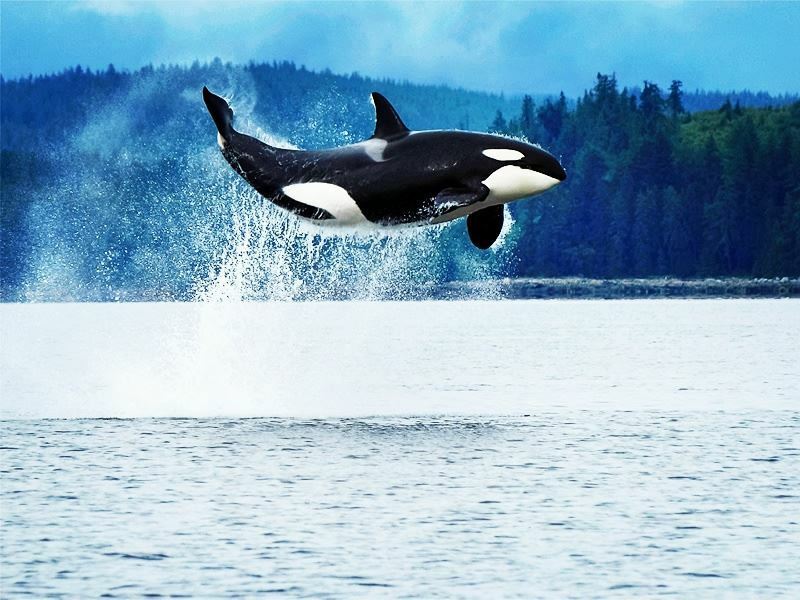 The resident orcas on the British Columbia coast are divided into two groups, the Northern and the Southern community, which feast mainly on Chinook salmon, though their diet also includes some 30 different species of fish. Unlike transient orcas, they do not eat mammals like seals and sea lions. There are many different ways to see these whales, with a wide range of whale watching tours, including spending a few hours on a high-speed zodiac, to full day trips on a comfortable cruiser, week-long adventures on a historic sailboat, and, for the more adventurous, sea kayaking excursions. The waters of Johnstone Strait, along the northeast coast of Vancouver Island in British Columbia, are the home of some of the largest concentration of killer whales on the planet as well as lots of other wildlife like bald eagles and black bears. There multiple outfitters in the area, including Wildheart Adventures in Telegraph Cove, that offer sea kayaking excursions, including day trips as well as three-and six-day tours. One of the most unforgettable whale watching experiences, participants paddle out to remote islands and view the animals along the way. The multi-day trips offers the chance to fall asleep to the soothing sounds of the whales as they swim near the shore, and enjoy gourmet cuisine too. Many dishes are prepared using the fresh, wild salmon that are pulled right from the chilly waters that very day. All sea-kayaking equipment is included, and if you don’t want to lug your gear with you, Wildheart rents camping gear as well. There is really nothing like seeing these awe-inspiring creatures just a few yards away from a kayak. You’ll paddle right alongside them in their natural habitat during the day, and enjoy a fabulous meal before retiring to your cozy beachside tent at night. If you’re looking for the total package, you may want to book our Self-Drive Whales, Bears & Vancouver Island tour, which provides the opportunity to explore the island’s breathtaking scenery, including lush rainforest, ruggedly beautiful shorelines, tranquil streams and waterfalls, as well as watching wildlife like bears and whales. It includes embarking on a journey aboard a speedy Zodiac boat with a certified marine biologist to watch for minke, orca and grey whales while learning about their habits and the environment. This experience includes the rare chance to go bear watching too, with a visit to the prime gathering and feeding areas of the grizzly bear. Another option is to hop on a tour that leaves directly from Victoria’s picturesque Inner Harbour. These shorter excursions provide the chance to take a thrilling high-speed zodiac ride or a comfy cruiser out to watch for the whales that are often seen playing and feeding in the area. Eagle Wing Tours is a popular choice with its luxurious boats and a range of tour options that include an onboard naturalist, whale guarantee programme, wildlife identification kits and binoculars, as well as gear to keep you warm out on the water, like gloves, hats and blankets. Before or after, you can enjoy shopping on historic Government Street, dining in a waterfront eatery, and touring the collection of grand Parliament Buildings located on the Inner Harbour. In the city of Vancouver, whale-watching tours are operated right from Granville Island, one of its most beloved neighbourhoods with the former factories now home to theatres, art galleries and trendy restaurants, as well as the popular Granville Island Public Market. Wild Whales Vancouver is one of several options for getting out and seeing the whales and other wildlife in their natural habitat. On the remote northern B.C. 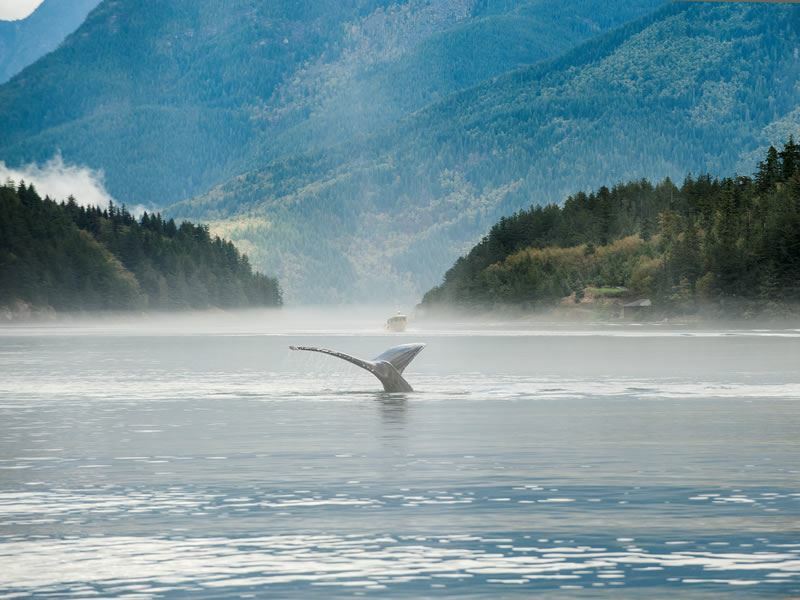 coast, Prince Rupert is renowned for its wildlife in the protected Inside Passage, where migrating salmon draw the orcas, and other whales like humpbacks, minkes and greys are frequently spotted as well. 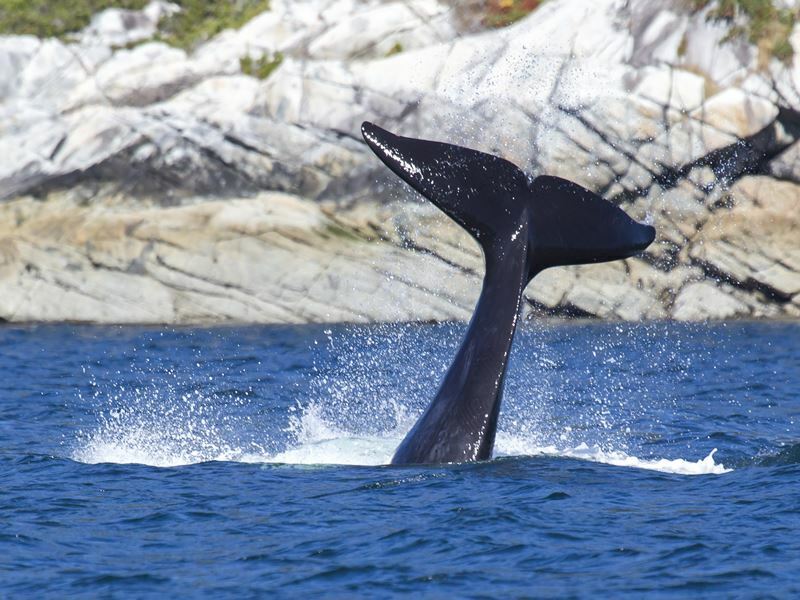 Prince Rupert Adventure Tours offers three- to four-hour whale watching trips aboard a comfortable, all-weather vessel to see these creatures as well as bald eagles, harbour seals, stellar sea lions, blue herons and porpoises that often leap and play right alongside the boat. The organisation offers trips to the Khutzeymateen Grizzly Sanctuary too, another one of the world’s best spots for viewing grizzly bears in their natural habitat. Tofino, on Vancouver Island’s west coast in Pacific Rim National Park, sits in a wild, remote location and provides the chance to watch for whales as well. While grey whales are most often seen, occasionally humpbacks and orcas can be spotted as well. 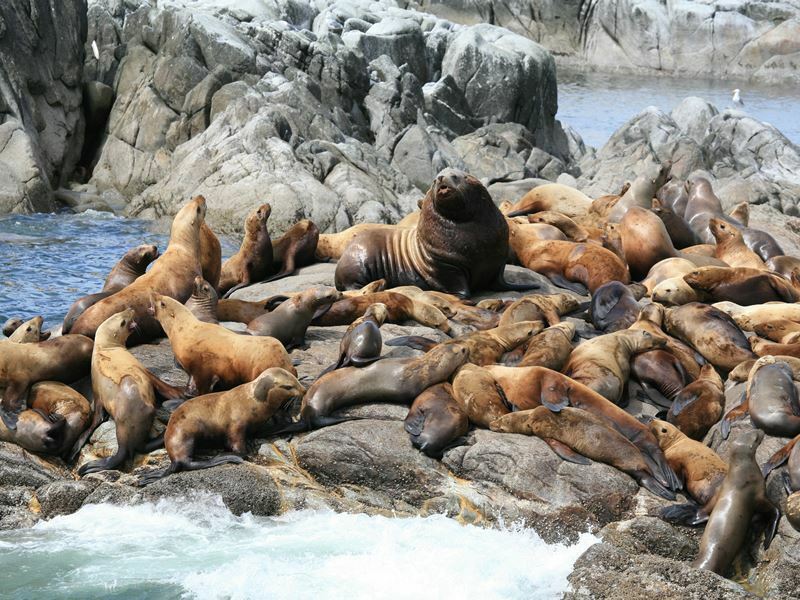 The best way to see these marine mammals in the Tofino/Ucluelet region is to take a tour with one of the many charter companies, offering trips, most for either two- or three-hours, in open-style boats where you’ll be geared with a warm safety suit, or in covered aluminum watercrafts. 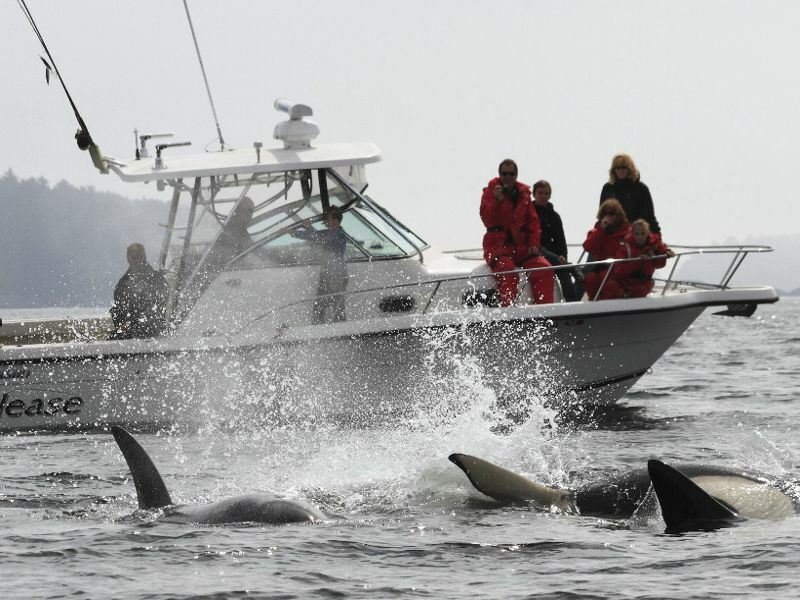 West Coast Aquatic is a top pick for the whale watch tours from March through October for viewing transient orcas and occasionally the residents, as well as humpbacks and grey whales. This area is also famous for its dense rainforest and miles of trails where you can gaze up at 800-year-old cedar trees, as well as being another good place for bear watching. The sheltered bays of Clayoquot Sound attract black bears that feed on shellfish and crustaceans along the shore.